Macron said on Thursday the death of four Americans in Syria this week showed that the battle against Daesh militants would continue. 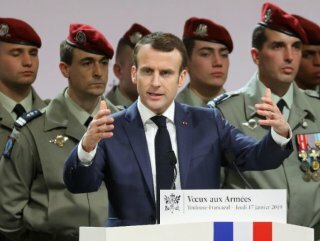 French President Emmanuel Macron explained that the recent terror attack that claimed the lives of US soldiers in the Syrian city of Manbij showed that the battle against Daesh is not over. 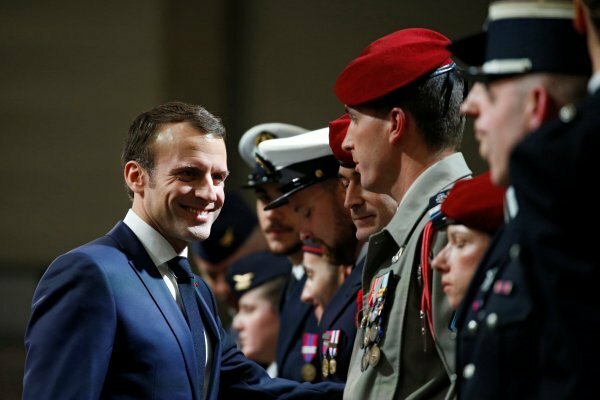 "FRANCE WILL KEEP ITS TROOPS IN THE REGION THIS YEAR"
“The announced withdrawal of our American ally should not deflect us from our strategic objective to eradicate Daesh”, Macron said in a speech in Toulouse to the armed forces. Citing the death of 16 people, including four Americans, in a suicide bombing in Manbij, Syria, near the border with Turkey, Macron said the next few months would be decisive. “We will remain militarily engaged in the Levant in the international coalition (…) over the coming year,” he said. Last month, US President Donald Trump announced that he was ordering a full troop pullout from Syria, saying the war against Daesh was won.